Praised for his ‘brilliance and maturity’ (The Guardian) he is invited to give recitals in the most prestigious venues all over the world such as the Wigmore Hall, Concertgebouw Amsterdam, Salle Gaveau, Auditorium du Louvre, Frick Collection New York, Phillips Collection, Gilmore Keyboard Festival, Teatro Carlo Felice, Sala Verdi in Milan and the Great Hall of the Moscow Conservatory. He is also regularly invited to festivals including La Roque d’Anthéron, Piano aux Jacobins, Rheingau, the Ruhr Piano Festival, Schloss-Elmau and the Lockenhaus Music Festivals. Lukas performs with numerous orchestras including the Orchestre Philharmonique de Radio France, Orchestre national de Lyon, NHK Symphony Orchestra, City of Birmingham Symphony Orchestra, Stavanger Symphony, St Petersburg Philharmonic, Kremerata Baltica, Russian National Orchestra, Mariinsky Theatre Orchestra, Victoria, Montreal and Toronto Symphonies, Warsaw Philharmonic, and the City of Birmingham Symphony Orchestra, under the batons of conductors such as Valery Gergiev, Mikhail Pletnev, Leondard Slatkin, Charles Dutoit, Andrey Boreyko, Tugan Sokhiev, Saulius Sondeckis, Dmitry Sitkovetsky, Antoni Wit, Rafael Payare, and Dmitry Liss, to name but a few. Forthcoming highlights include debuts with the Philadelphia Orchestra, the Yomiuri Mainichi Symphony Orchestra, the Gilmore Keyboard Festival and a series of three concerts at the Salle Gaveau in the 2019/20 season. Known for his innate curiosity and extensive musical interests, Lukas explores a wide range of repertoire, from the baroque to works by contemporary composers. His repertoire spans from Beethoven Piano Concerti through to Hindemith’s Ludus Tonalis and John Adams, as well as a strong interest in Russian repertoire such as Tchaikovsky, Rachmaninov and, of course, Prokofiev. He is an avid chamber musician and an extremely inquisitive performer and enjoys working on new works by modern composers, as well as resurrecting rarely performed repertoire. These aspects of his career are reflected in Lukas’ critically acclaimed discography, which includes works by Beethoven, Brahms, Rachmaninov (the complete Preludes); Chopin (Etudes opus 10 and 25) and works by Stravinsky, Desyatnikov, and Tchaïkovsky with Aylen Pritchin at Melodiya. His most recent CD, of Prokofiev’s 2nd and 5th sonatas, was awarded the prestigious Diapason d’OR by Diapason Magazine in January 2019. Born in Moscow in 1990, Lukas Geniušas graduated from the Chopin Music College Moscow, in 2008. 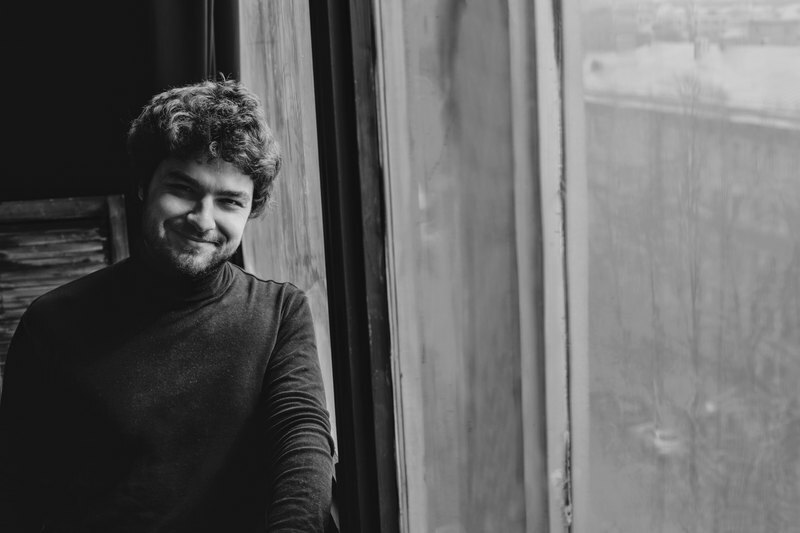 He is the laureate of several prestigious international competitions, notably Silver Medalist at the 2015 Tchaikovsky Competition in Moscow and at the 2010 International Chopin competition. Since 2015, Lukas has been a featured artist of "Looking at the stars" a philanthropy project based in Toronto, whose purpose is to bring classical music to institutions and organizations (prisons, hospitals and shelters) where people may not have an opportunity to experience it live in a traditional setting.